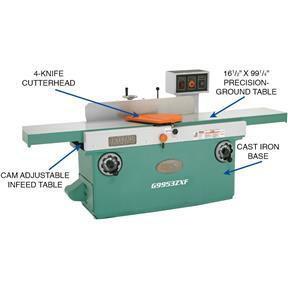 The first thing that comes to mind when describing the Grizzly Ultimate 16" Jointer is MASSIVE CAST IRON! Tipping the scales at over 1700 pounds, this jointer features a solid cast iron base, hardened and precision ground cast iron tables, a center mounted cast iron fence, and cast iron table elevation handwheels. When smooth operation, large cutting capacity, and mirror smooth finishes are high on your list of desirable features, rely on Grizzly to deliver! For the ultimate in extreme-duty machines, the G9953ZX and ZXF features a spiral, indexable insert cutterhead. 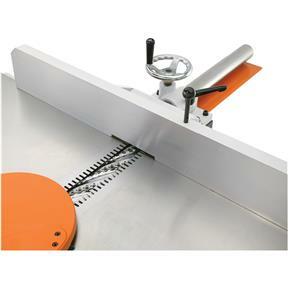 By using a "spiral" cutterhead, the knife never leaves the wood like a conventional jointer. 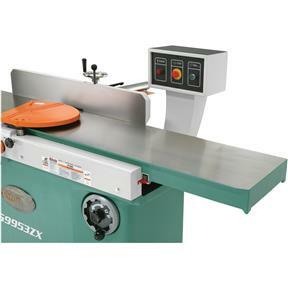 This provides for the finest finish available and a much quieter machine that's unlike any other. The carbide "inserts" are not only replaceable, but each one has four cutting edges and can be turned 90º to expose a new cutting edge. It's like getting four blade changes for the price of one! Cam adjustments on front and back of table allow you to perfectly align infeed and outfeed tables to within .001". Made in ISO 9001 Factory. 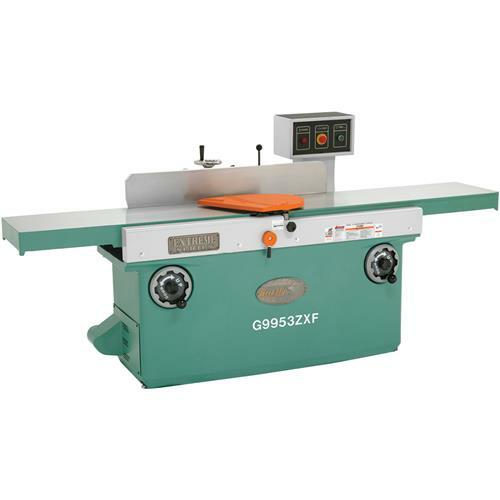 Table measures: 16-1/4" x 99-1/4"
Height (from floor to table): 30-3/4"
Maximum width of cut: 16"
Approximate shipping weight: 1742 lbs. 440V operation requires purchasing additional components and installation by our technicians. Please call customer service at (570) 546-9663 for more information.